Sometimes you want full coverage but you have to have it quickly. Other times you need to seed a large area but sod is too expensive. These situations are where hydroseeding in Lynnwood takes off. It’s frequently used by municipalities that have fields to seed and is a perfect option for homeowners. Country Green Turf Farms is your local spray on grass seed leader. We have the right equipment, the required experience, and the perfect mixture to make your grass great. Is hydroseeding the right choice for you? We’ve made it easy to decide. Just follow our guide to determine what coverage method works best for your needs. Depending on what you’re looking for, we offer a diverse range of grass seed mixtures. 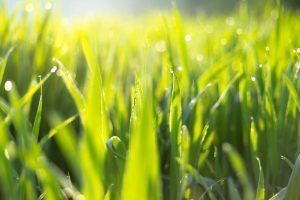 Lawn mixes that are great for overseeding. Lawn mixtures that grow well in shady areas. Lawn mixes that are good for mixed usage areas. Sports field seed mix for recreational fields. All-animal and horse specific grazing mixes. Hydroseeding is carried out by our grass seed technicians. We’ll bring a prepared seed mixture that contains several necessary ingredients. This includes the right seed mix, growth fertilizer, and a sticking agent that helps cement your seeds in place. This all works together to provide you with the best benefits of hydroseeding. Cost-effective coverage – Because it’s sprayed on in a prepared mixture, hydroseeding is very cost effective. It doesn’t take as much time or labor as hand seeding or laying out sod. It also severely reduces the chance for seams or thinly seeded areas. Fast and healthy – Our slurry carries nutrients to help your new lawn establish quickly. Without the worry about transporting pre-germinated seeds (they germinate on-site) we eliminate concerns like seed shock. This produces faster results than hand seeding. Easy erosion control – Hydro-seed is already moist and retains water to nourish seedlings. That makes it ideal for hillsides and slopes. The included bonding agent helps cement grass seed in place until it can take root. This makes it perfect for quickly stopping erosion. We’ll help you with aftercare for your hydro-seeded lawn in Lynnwood. This can come in the form of on-site care or high-quality supplies like aerators, fertilizer, and additional equipment to help keep your new lawn happy and healthy. Get more from your lawn. Call or contact us today.